I put together this hand out for my quilt guild this evening and I thought it might be useful to folks to post it here! Ideally I’ll update this with pictures and what not, but we’ll see! 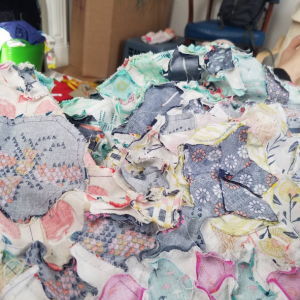 This style of hand piecing involves drawing the sewing line onto the back of the fabric, and using a running stitch to sew along the drawn sewing line. Compared to EPP there is less prep time, less supplies needed, and I think it is a little easier for beginners to pick up and piece accurately. There are disadvantages, including having more exposed seams and having to press your seams. Needle: I like a milliners needle – which is long, thin, bendier and more flexible. I use a size 11 but it is difficult to thread the eye is so small. Some people prefer a firmer needle like a sharp (often used for hand quilting). Marking Implement: Basically, you want to use something that either washes out very easily, or is very permanent so it won’t bleed! And if you are doing light colors, you don’t want it to show through. Pencil -Some people like a mechanical pencil – either a regular one or a sewing specific pencil. Frixion pen – DON’T IRON AWAY YOUR LINES BEFORE THEY ARE SEWN! Permanent marker – my fave is the Sakura Pigma Micron Marker – which has a fine line. I use in the lightest color I can see on the fabric. Other marking options include an inkjet printer via Inklingo or purchasing stamps and using a permanent fabric ink like Versacraft. Thread: Some people prefer very fine thread like So Fine Bobbin thread or silk thread. I like 50 wt Auriful or Guterman basic polyester because it “grips” the fabric and puts less stress on my hands when sewing, and I feel more confident my knots will hold. However, sometimes my stitches are a little visible so if that would really bother you, using a finer thread, or switching thread to match your fabric can help. Tracing your stitching line around an EPP Paper piece will do, or you can purchase templates. 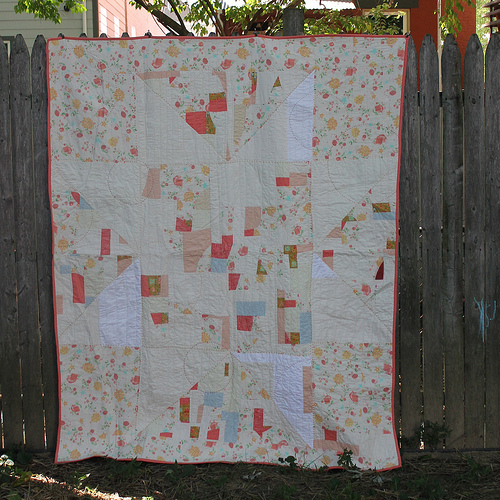 You can make your own ¼ seam or get/make templates that include the quarter inch seam. I like having the quarter inch seam precisely placed on my pieces because it makes the hand sewing process a little faster, however, it’s not necessary. I print my own templates onto heavy cardstock and carefully cut them out. Printing – via Inklingo. If you are comfortable with computers, the website has excellent customer service and I highly recommend it. The learning curve is a bit of a pain, but once you figure it out (took me about an hour of frustration) if you are doing a larger project it can really save time. I’ll spell out the basic steps, but watching is always the best way to learn! Mark your sewing lines on your fabric and cut out with at least a quarter inch seam allowance. Tip: You can cut off points on diamonds/triangles to reduce bulk. Line your two pieces up. I sew from right to left, therefore I’d place a pin in the LEFT corner perfectly joining the sewing lines at the corner. 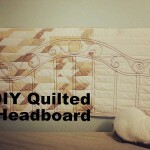 Make a quilter’s knot (or whatever knot you like) in your thread. Use a single strand of thread. Insert your needle one-two stitches away from the RIGHT corner, making sure it is evenly placed through both pieces precisely on the sewing line. I don’t put my knots in the corners, because I don’t want to add bulk there. Take a back stitch into the corner to perfectly secure your corner. Do a running stitch along the edge of the piece, taking care to check and readjust that your two drawn sewing lines are perfectly lined up. Some people do a back stitch every few stitches, though I don’t. When you get to the next corner, pull out your pin and do a back stitch to secure your point. If you have to tie your thread off, go back a few stitches to make your knot to avoid bulk at your points. One advantage to this method is doing continuous stitching as much as possible. 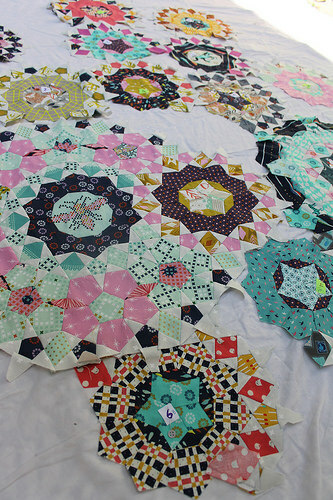 I plan out my piecing to allow me to start and stop as little as possible. If you are able to add the next piece, then align the next piece, run your needle through the point/corner on the right side and place your pin in the left corner, and continue sewing. Ironing: Generally speaking, press your blocks from the center going outward and have your seams facing in the same direction. You can finger press as you go or use an iron, depends on what you are sewing and your preference. I generally iron units before joining them or adding the next layer or piecing. 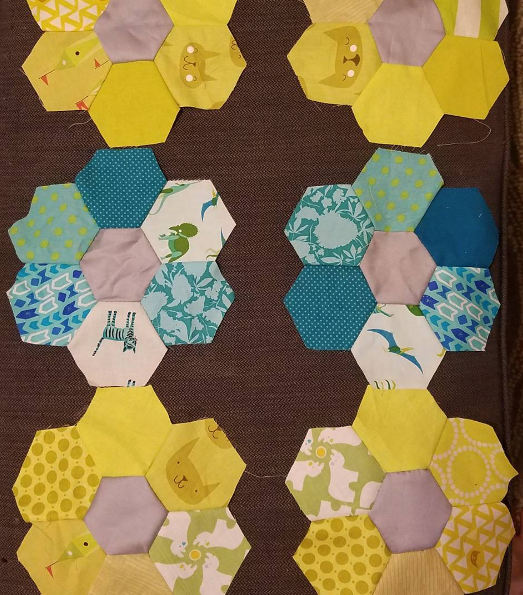 Note – there are many, many websites where you can get templates designed for EPP, but fewer where you can get stamps and hand-piecing specific products/tutorials so I have only included those. InkLingo not only sells printable templates, but she has some nice videos on how to hand piece, search “How to Sew La Passacaglia by Hand” for a great overview – even if you don’t want to make La Passacaglia it goes over the basics really nicely. Cindyblackberg.com sells stamps and has lots of information on her website.